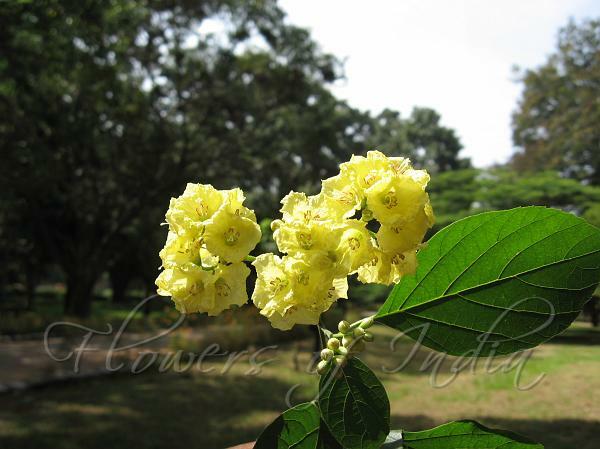 Yellow Cordia is an ever-blooming small tree, growing up to 15 ft tall, or as a spreading shrub. The tree has elliptic leaves with rough upper surface. Flowers are bright canary-yellow in clusters. The tree has a free-branching habit. The plant requires regular watering until established. 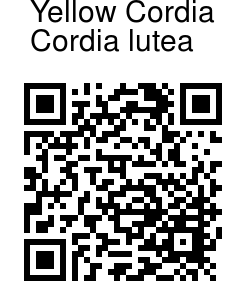 Yellow Cordia is native to South America, and has been introduced as an ornamental plant.